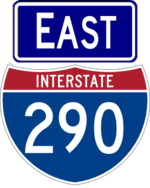 I-290 is a short freeway connecting the northern portions of I-190 with the Thruway. 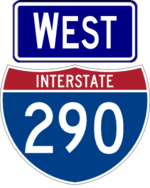 Combined with parts of I-90 and I-190, it's the closest thing Buffalo has to a beltway. It mainly handles local traffic and through traffic from the east to/from Niagara Falls and Toronto (and Michigan before 9/11).